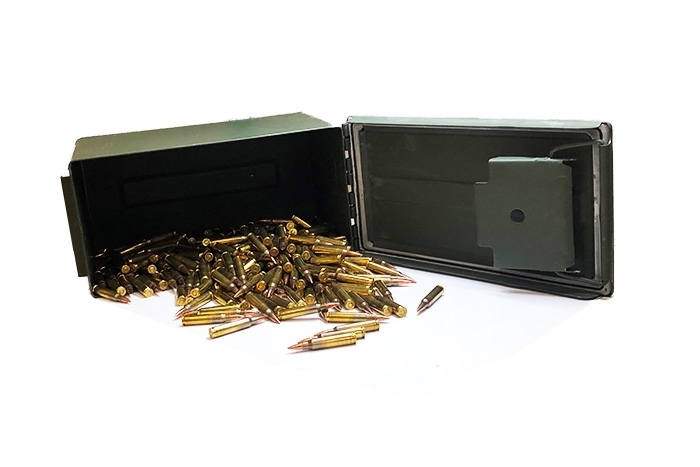 5.56x45mm M855 Ball ammunition with a FMJ 62 Grain Bullet, Steel Core & Brass Case. Manufactured at American Marksman’s facilities with the same Lake City Brass & Bullets that our Military uses. For use in 5.56x45mm chambers only. Projectile is magnetic. Bulk packed in surplus U.S. Military Ammo Cans.